The above quote, well-known and well-worn though it may be, is still valid today, whatever lip-service is paid to the concept of the free West and the importance of national sovereignty. While no right-minded politician would speak in such honest terms today, the fact remains, as we shall see, that Greece and Cyprus are on the periphery of world affairs when it comes to independence of action, while Greece can even be described as a client state in some respects, particularly when one takes into account the Troika straitjacket into which it has been forced, admittedly through the folly of its own alleged leaders as much as through the greed of financial interest groups. Dramatic it may sound, but financial terrorism is a new and unwelcome factor in the geopolitical cesspit of the Eastern Mediterranean, as Cyprus well knows. 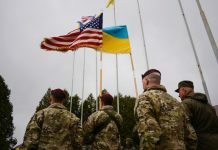 The whole farrago of the current instability in the Middle East – Syria, Lebanon, Turkey and the never-ending Palestine-Israel charade, has recently been enhanced by events in The Ukraine, while Greece’s and Cyprus’ involvement with Israel on the gas front has bedevilled and possibly put at risk their relations with an increasingly powerful Russia. Before looking at modern Greece and Cyprus from a historical angle, within the context of their political geography, and the obsession with Russia, I shall bully off by setting out my approach with a brief critique of geopolitics and the dangers of the misuse of international relations theory, introducing my geohistory as a more viable and mature method of analysis and evaluation. As such, I shall offer a simple cerebral underpinning, but certainly not a conceptual framework, the latter being the preserve of international relations theorists seeking their pot of gold at the end of a rainbow. Then I shall consider Greece and Cyprus as geopolitical fodder, bearing in mind Britain’s and the US’s obsession with Russia within the context of the Eastern Mediterranean geopolitical lavatory, before concluding. As Lin Yutang wrote, putting human affairs into exact formulae shows a lack of sense of humour and therefore a lack of wisdom, while Man’s love for definitions is a step towards ignorance. The more he defined, aiming at an impossible logical perfection, the more ignorant he became. So it is with much post-sixties international relations theory, but especially with geopolitics, a ‘primitive form of IR theory’, as Christopher Hill calls it. Geopolitics as a modern label is closely associated with the obsession of big powers to gain yet more power, through the control of resources. Despite its close association with the imperialist-minded Mackinder, and Nazi advisor Haushofer, it was Kissinger, of all people, who helped to slide the term back into current international relations terminology. The term is often used by politicians, who sometimes ignorantly interchange it with the term ‘geostrategy’. With the increasingly desperate struggle for the world’s resources, oil and gas pipelines almost become geographical maps. Old style borders, encompassing culturally and homogenous groups of people, become less relevant in the eyes of the geopolitician. 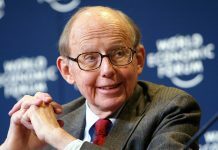 As Hill writes, the random way in which frontiers are superimposed on the world means that states vary enormously in size, mineral wealth, access to the sea, vulnerability, and cohesiveness. A look at a map of the Middle East is enough to show how cynically Britain and France carved up much of the area following the Sykes-Picot deal to suit their geopolitical lusts. The medium and long-term results have been tension in the area ever since. The very foundation of the modern state of Greece, let alone that of Cyprus, was based on a compromise between the big powers as much as on love of Greek freedom, as we shall see later. There is nothing wrong with theorising per se. Indeed, it can often aid analysis and even evaluation. The problem comes with the fact that many theories clash with each other, often the result of a thinker setting out to explain, and even to try to solve, an international relations problem, my making a model. The problem there is that he then imprisons himself mentally in his model, and ceases to actually think freely. 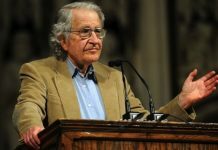 On top of that, he often selects – usually subliminally rather than dishonestly – only those bits of information that suit his model, and ‘prove’ his theory. In this sense, most models tend to be Procrustean, since they must be made to fit. All this is bedevilled by the clash between realists and behaviouralists, further enriched by structuralism, modernisation theory, dependency theory, world systems analysis, positivism, constructivism, critical theory, post-modernism, normative theory, pluralism and functionalism. Most of these also have their sub-divisions, and are even connected to each other, to a greater or lesser extent. They problem is that there is no single nirvana theory that explains and solves everything. Matters can sometimes reach a farcical level: for example, when Fukuyama dramatically wrote about the end of history, on being proven mistaken, he then turned to ‘masculine values’ being rooted in biology as playing a central role, writing that female chimps have relationships, while male chimps practiced Realpolitik. Much the same can be said of Huntingdon’s ‘Clash of Theories’, with its simplistic and sometimes inaccurate and mistaken pigeonholing of history. Add to this international relations theoreticians’ obsession with categorising, categorising the categories, and then sub-categorising, serious reflection disappears, the thinking processes become enslaved in nice-sounding labels, to the detriment of real substance and free thought. My geohistory, in contrast, means that far from packaging thoughts, ideologies, concepts and events into personal interpretations of history to suit one’s own wishes, or those of others, history becomes a neutral continuum that remains perforce entirely unaffected by any interpretation. Historicism, and even historiography, are discarded. The past is simply the past, which blends into the future as we write. Events alone can of course be interpreted (indeed, we all have our mental filters), although the very act of interpreting does tend to create dispute in the form of what we can term ‘different colours’. We can nevertheless say that the same things have been happening, and will continue to happen, however we choose to package and interpret them, simply because they are predicated on immutable human characteristics. History does not however repeat itself precisely, but rather the behaviour of the human species manifests itself ad infinitum with different colours to suit our own selfish desires, new technology and allegedly new ideas. 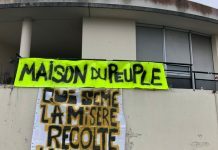 Therefore, it can be argued that Hegel and Marx, for example, were banging their heads against the wall in using (their view of) history to argue in favour of, for example, German superiority, or materialism. When one has looked behind the stage of relations between states, in other words, when one has scrutinised government documents over a number of years, as they are released, one finds that fundamental policy alters surprisingly little, whatever the public messages put out by governments. Indeed, one finds remarkable consistency. Thus, despite the Russian Revolution of 1917, and the dismantling of the Soviet Union in the early Nineties, a fundamental ingredient of Russian policy today is still to have some influence over events in its own back-garden, and to have access to the Eastern Mediterranean. In the case of Greece, but particularly Cyprus, it is clear that the latter has for hundreds of years never been complete master of its own destiny. This is where Britain and the United States come in. We shall now begin to home in on our theme, through geohistory. Whatever the simpering protestations of well-paid off designer academics in both Britain and Greece, British policy has been essentially antithetical to Greek interests since the very inception of the modern Greek state. Apart from a few flashes in the pan, and a few individuals like Canning, the only help Greece has received has been from private individuals such as Lord Byron, or public individuals who were brave enough to go against official British policy, such as Admiral Codrington. Britain was forced into helping Greece, to keep a finger in the Mediterranean pie, for fear of Russia ending up as Greece’s main sponsor, and weakening Britain’s Ottoman friends. The Don Pacifico Affair is an example of Britain’s attitude, when Britain actually threatened Greece with gunboats; while during the Crimean War, Britain, with its then French poodles, blockaded Piraeus. In 1916, Britain and France even interfered militarily in Greece, being beaten back by the King’s forces, and then getting their revenge by backing the controversial and Britain-friendly Venizelos, who favoured war: he blindly led Greece into a war which was to lead to the famous catastrophe. […] Nor can any accusation be levelled against the Russians of organising the spread of communism in the Balkans. […] The Soviet Government’s support of the Communist-led elements in these countries is not so much based on ideological grounds as on the fact that such elements are most responsive to and are the most vigorous in resisting the axis. […] Furthermore, if anyone is to blame for the present situation in which the Communist-led movements are the most powerful elements in Yugoslavia and Greece, it is we ourselves. Russia’s historical interest in the Balkans has always manifested itself in a determination that no other Great Power shall dominate them, as this would constitute a strategical threat to Russia. […] whereas in the nineteenth century we had Austro-Hungary as an ally to counter these Russian measures there is no one on whom we can count to support us this time. […] As a result of our approach to the Soviet Government, however, the latter have now agreed to let us take the lead in Greece. Our strategic interest is to ensure that no unfriendly power, by the acquisition of Greek bases, can threaten our Mediterranean communications. On the other hand, we wish to liquidate our present military commitment as soon as possible. In 1947, Britain handed Greece to America, thus introducing US and future NATO power into the Balkans. The Truman Doctrine and massive deliveries of military hardware – as well as the Tito-Stalin disagreement – put an end to the civil war by 1949, and a bitter and exhausted Greece was now free to join NATO, as it did in 1952. But the divisions caused by the civil war lived on in the party-political system. Shades of it still exist today. 1947 was certainly a defining year for Cyprus, and indeed for the Eastern Mediterranean. The Truman Doctrine was all the rage in Greece and Turkey, while the first Macarthyist tendencies were being exported from America. The Foreign Office, as well as the Colonial Office, which was responsible for Cyprus, considered whether to cede Cyprus to Greece. The factors favouring the latter were: the Atlantic Charter and the Universal Declaration of Human Rights; impending decolonisation, for example in India, Transjordan, Burma and Ceylon; the handing of the Dodecanese by Italy to Greece (via the British Military Administration); and the natural feeling of the Greek Cypriots that they were in fact Greek, just as Greek Cretans had felt Greek. 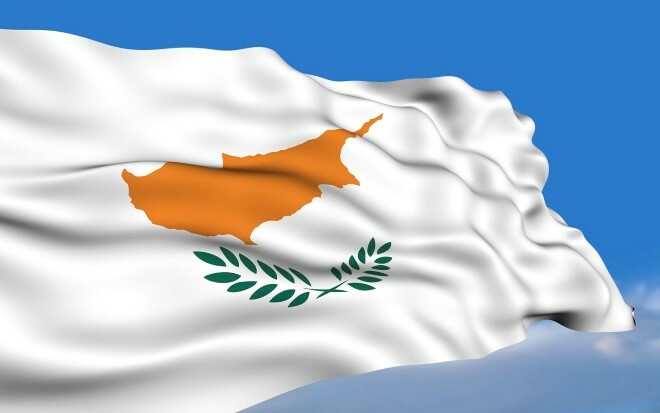 A senior Under Secretary in the Foreign Office argued strongly that giving up Cyprus would contribute to Greek morale and British influence (the civil war was in full swing), and prevent future strife in Cyprus. But other forces, including the War Office, argued that with a Communist Greece, to give up Cyprus would be a serious mistake. There was a whiff of hypocrisy in this argument, since the massive arms deliveries by America were on the agenda, and the US had entered the picture, courtesy of Britain. What can be said is that, whether by design or default, the Greek civil war was used as an excuse to hang onto Cyprus. Perhaps one difference today is that US power has increased in Cyprus, as the British bases are in all but name NATO ones, and since the US shares British electronic intelligence-gathering. Even when Britain tried to give up its bases in the wake of the Turkish invasion, Kissinger simply said no. By 1980, the idea was dead, and a Thatcherite administration put paid to any idea of upsetting Britain’s American brothers. Since then, we have seen Cyprus used by Greece (the Sampson coup), Turkey (the occupation) and even Russia, when it sold S-300 defence systems to Cyprus, in the possible knowledge that it would cause problems for NATO. In the end, Cyprus succumbed to Turkish bombing threats, and the system ended up on Crete. We must also recognise that in the final analysis Turkey must be regarded as more important to Western strategic interests than Greece and that, if risks must be run, they should be risks of further straining Greek rather than Turkish relations with the West. The above-mentioned sale of S-300’s is but one example of Russian involvement. Another example, perhaps more serious, was Russia’s rejection at the UN Security Council of western last-minute attempts to make the infamous Annan Plan look acceptable. Today, nothing has changed. Russia simply wants a demilitarised Cyprus to be the price of re-unification. Greece and Cyprus will continue to be geopolitical fodder for the foreseeable future. The Ukraine debâcle has enhanced this likelihood. Recently, despite a cheap Russian loan to Cyprus, Greece, Cyprus and Israel have irritated Russia by presenting their co-operation on gas exploration and potential production as a way of reducing EU dependence on Russian gas. 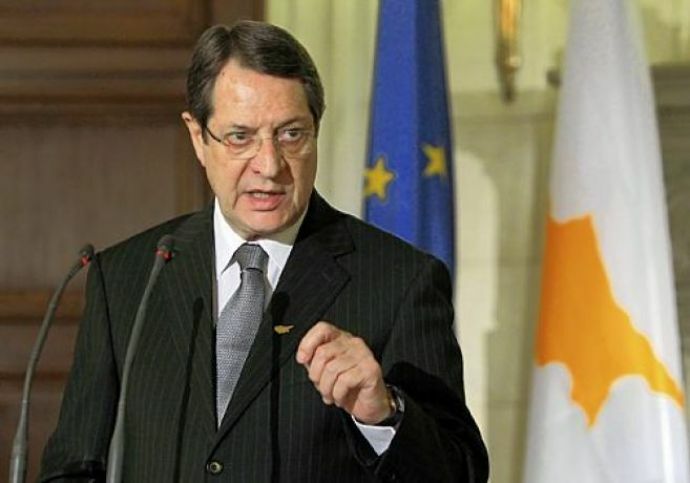 On 9 April 2014, Cypriot President Anastasiadis told Reuters in an interview that the discovery of gas within Cyprus’s economic zone would facilitate international efforts to solve the Cyprus problem and provide an alternative energy supply source to Europe, thus decreasing its dependence on Russian gas imports. The benefits which we derive from the SBAs are of major significance and virtually irreplaceable. They are an essential contribution to the Anglo-American relationship. The Department have regularly considered with those concerned which circumstances in Cyprus are most conducive to our retaining unfettered use of our SBA facilities. On balance, the conclusion is that an early ‘solution’ might not help (since pressures against the SBAs might then build up), just as breakdown and return to strife would not, and that our interests are best served by continuing movement towards a solution – without the early prospect of arrival. The only difference today is that the US is pushing hard for a ‘solution’, worried at the prospect that as long as unoccupied Cyprus has its own foreign policy, which it has, there will always be a danger that it will move closer to Moscow. 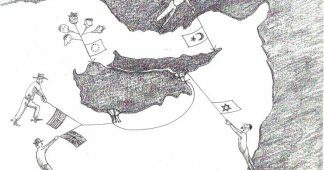 At the same time, it is important to bear in mind that Turkish-Israeli strategic co-operation in the Middle East, particularly on Syria, is an even greater priority to the US than a re-unified Cyprus. 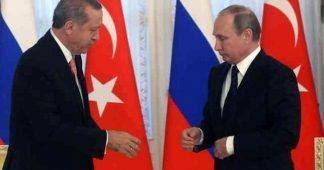 Although Turkish-Israeli relations have been adversely affected by Erdogan’s anti-Israel rhetoric on the Palestinian question, the US-sponsored effort to use Turkey and Israel (as well as Greece and Cyprus) to exclude the Russians is still very much there. Another annoyance for Russia was the Burgas-Alexandroupolis oil pipeline farrago, when Russia realised that Greece was simply becoming a US and German client state par excellence. Cyprus, perhaps because of its geographical and geohistorical position, may however be less of a client state than Greece. 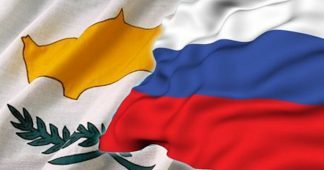 Should Russia consider guaranteeing its security, then it would be tempting for some sections of the Cypriot political spectrum to offer Russia a long-term naval and air-force base. That would certainly put the cat among the pigeons. 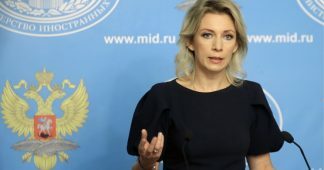 It would also mark a step away from the official Russian position on Cyprus, namely that she will never accept a united Cyprus, unless it is non-aligned, forbidden to join NATO, and the Americans allow Britain to give up its bases. Current shifts in Russian policy caused by NATO’s obsession with The Ukraine’s resources and its proximity to Russia could well see Russia adopting a firmer line on Cyprus, and even Greece and Turkey. Her Mediterranean navy is increasing in size. No solution is permanent. A glance at the last 3,500 years of Cypriot history demonstrates that the Phoenician, Greek, Assyrian, Macedonian, Egyptian, Persian, Roman, Byzantine, Saracen, Frankish, Venetian, Genoese, Turkish and British solutions were not permanent, regardless of how permanent they may have been at one time. Despite the simplisticness and superficiality of the categorisations (for example, the separation of the Greeks from the Macedonians), the contention that no solution is permanent holds a fair amount of water, if one looks at history. The real factors that determine the state of our world are human behaviour and characteristics, both individual and collective. Thus, the title of this piece, cruel though it may be, and even it if may upset the more nationalistic Greeks and Cypriots, is valid. 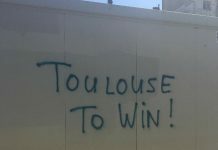 Worse, it may even be taken to imply that Greeks and Cypriots are themselves geopolitical fodder. This is of course hardly something that is restricted to Greeks and Cypriots. After all, Britain and Saudi Arabia are client states par excellence, and The Ukraine is now being fought over by all manner of external forces. 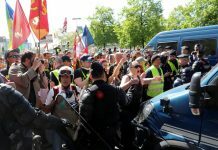 Atavism is an important human characteristic: just as Britain and France fought the Russians in the Crimean War, so now the same kind of frightened forces are interfering on Russia’s doorstep. For better or worse, Greece and Cyprus are connected to this tawdry picture, owing to the irrational and atavistic fear of Russia on the part of Britain and its successor empire, the US. In Guicciardini’s words, the same things return with different colours, while in Vico’s thinking, we are passing into a state of anarchy. This is what happens when empires are beginning to die. The Game for Rhodes, Amazon, 2013. The Same Things Return with Different Colours, Aracne Editrice,, Rome, 2013. ‘Foreign Policy Issues of a Part-Occupied EU State’, The Cyprus Review, vol.23, no.1, Spring 2011. ‘Greece and Cyprus in Foreign Office Eyes: Then is Now’, ΕΠΕΤΗΡΙΔΑ, XXXVI, 2011-2012, Centre of Scientific Research, Nicosia, 2013. Sir Edmond Lyons, British Minister to Greece, 1841. Yutang, Lin, The Importance of Living, Heinemann, London, 1976 (first published in 1938), pp. 9 and 404. Here, I am not of course referring to the sensible English School of the sixties, and the likes of Hedley Bull and Martin Wight. See Diplomatic Investigations, Butterfield, Herbert and Wight, Martin (eds. ), George Allen and Unwin Ltd., London, 1966. Hill, Christopher, The Changing Politics of Foreign Policy, Palgrave Macmillan, Basingstoke, 2003 p. 168. Bell, Duncan, ‘ Beware of False Prophets: Biology, Human Nature and the Future of International Relations Theory’, International Affairs, Vol. 82, No. 3, Chatham House, London, May, 2006. Sked, Alan (ed. ), Europe’s Balance of Power, 1815-1848, Macmiilan, London, 1979,, p. 7. Sked quotes de Bertier e Sauvigny in Metternich and his Times, Darton, Lonman and Todd, 1962, p. 251. Noel-Baker, Francis, Greece: The Whole Story, Hutchinson & Co., London, 1946, p. 43. Top Secret Foreign Office Memorandum for Secretary of State, 7 June, 1944, FO 371/43646, file R 9092. in Mallinson, William, Britain and Cyprus: Key Themes and Documents since World War Two [really World War Four, see note 13], I.B.Tauris, London and New York, 2011, pp.12-14. Report by Joint Planning Staff, 3 December 1945, FCO 371/48288, file R 21028/G. Mallinson, William, ‘Turkish Invasions, Cyprus and the Treaty of Guarantee’, Synthesis – Review of Modern Greek Studies, vol. 3, no. 1, 1999, London School of Economics and Political Science, p. 41, FO 371/67084. File R13462/G. Buckle, B.E., The Life of Benjamin Disraeli, Earl of Beaconsfield, London,1920, p.291. Foreign Office paper, 13 March 1964, DO 220/170, file 2-MED 193/105/2. ‘British interests in the Eastern Mediterranean’, paper prepared by Western European Department, FCO, 11 April 1975, FCO 46/1248, file DPI/516/1. Cyprus Newsletter, no. 23, May 2014, Friedrich Ebert Stiftung. Interstingly, Biden’s son has just taken up a position in a Ukrainian gas company, Burisma Holdings, which has its headquarters in Cyprus. Most serendipitous! Minute from Fergusson to Foreign Minister’s Private Secretary, 8 December 1980, FCO 9/2949, file WSC 023/1, part C.
 State Department Policy Statement on Cyprus, enclosed with a letter of 6 February 1969 from Folsom (State Department) to Smart (British Embassy, Washington), FCO 9/971, file WSC 3/3 18/2.